Following ART Grand Prix brilliant debut season in 2012, the Karting Division headed by Armando Filini is ready to step up its game, starting already with the first international event of the season, the WSK Master Series currently being held at La Conca (Italy), then swiftly moving to Lonato for the classic Winter Cup in mid February. The ART Grand Prix Factory Team is set to take on La Conca International Circuit with Diego Borrelli (VEN), Sérgio Sette Camara (BRA) and Yifan Xia (CHI) in KF Junior category, Ben Barnicoat (GB), Valentin Moineault (F) and Thiago Vivacqua (BRA) in KF, and Ben Hanley (GB) and Charles Leclerc (MC) in KZ2. 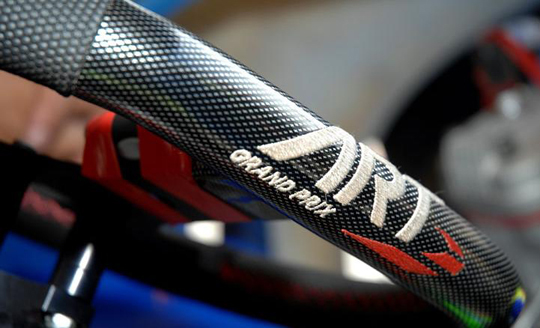 As one of the most important novelties introduced in 2013, ART Grand Prix will partner with TM Racing, which will provide assistance in KZ with its top tuner Franco Drudi, while in KF and KFJ categories engine preparation will be up to Machac Racing, in continuation of its very successful exclusive collaboration set up in 2012. As a latest addition for an improved ART Grand Prix experience, the ‘Karting Division’ has just launched its new website, which includes several new features. People will find more information, updates and multimedia content, and will be able to find the local dealer through the dealer locator tool. The new ART Grand Prix website, designed for a more user-friendly approach, will also allow all fans around the world to stay in touch with ART Grand Prix on its official social network pages on Facebook (www.facebook.com/ARTGrandPrixKartingOfficial) and Twitter (@ARTGPKarting). Find out ART Grand Prix latest news and events on http://karting.art-grandprix.com and join us on our social network pages !